Clear lines, silver accents, black and white. The appearance of the Melitta® Cafina® XT5 shows off its high technical quality. Melitta® Cafina® XT5 - For the digital generation. 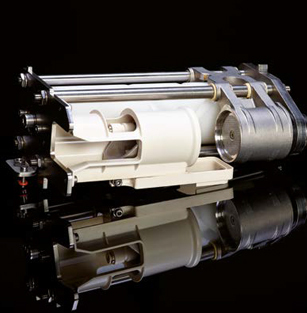 The brewing unit is made from high-quality materials – predominantly stainless steel – which means that you can operate the machine with a maximum net weight of 20 g without the risk of wear. Thanks to the micro fine sieve, maximum aroma is guaranteed. 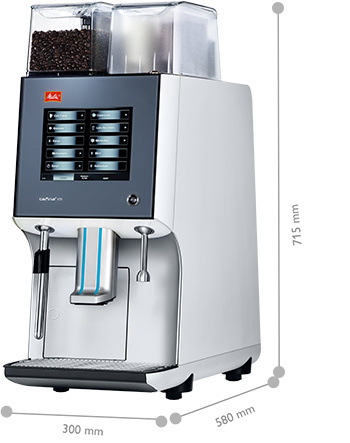 In the product filter menu, the operator can filter the selection of drinks according to size and type of beans or milk. The batch function allows orders to be entered one after the other and subsequently called up as required. There is a service and a self-service module. 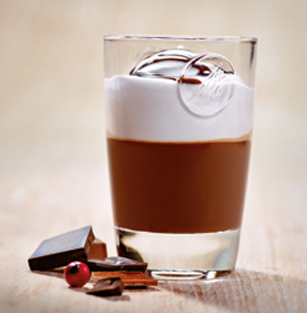 The perfectly integrated instant module with two containers is available for preparing the finest cocoa specialities, expanding the range of drinks you can offer to include all powder-based varieties. 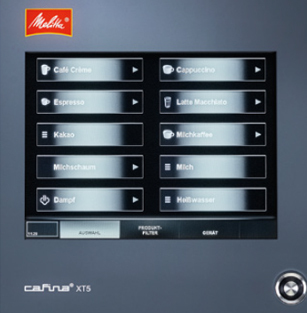 The look of the Melitta® Cafina® XT5 underlines the high technical quality and state-of-the-art, and fits in both technically and visually with the familiar modules of the XT range.